After a short trip to the PCGS Vegas Show last week, we are all back in the office and working hard to process the many new coins that we brought back from the show. We’ve also been working through a nice number of packages that arrived while we were on the road, so it’s been a busy and productive week! The final quarter of the year is a time that we start to see more packages sent to us by people looking to sell and consign their coins. With the number of major auctions being drastically reduced, we find that it’s a time where a nice amount of fresh material hits our desks. One underutilized program that we offer is our consignment and GAP program! Our consignment system works great and most consignors who have used our program in the past return with more inventory, especially in November and December. As a collector, it’s the perfect time to browse and view many new interesting pieces on the website. If you're in the market to sell any portion of collection this holiday season, please let us know at coingroup@davidlawrence.com, and we will be glad to give you the details on how our consignment program works! Why we love it: A lovely rainbow-toned superb gem example of this popular Barber Quarter Issue from the Denver Mint. This stunning, superb piece displays incredible coloring along with underlying luster and immaculate fields that give it far above average eye appeal. The toning is highlighted by a lovely sea green with a light tint of rose and a fair amount of bright golden coloring on the reverse. This particular piece is tied for the finest known in existence graded by PCGS. Value: With only the single peer at PCGS, and the incredible eye appeal, we think that this coin is an incredible value in this week’s auction with a reserve of just $17,250 in this week’s auction. That is $2,750 below the $20,000 value given by the PCGS Price Guide. Why we love it: A scarce matte proof Indian Quarter Eagle that becomes much rarer with the coveted CAC seal of approval. This gorgeous, high-quality piece features completely pristine surfaces, giving it some of the nicest eye appeal any issue of this series has to offer. From an extremely low mintage of just 682 coins struck, there are only three examples in existence graded finer by PCGS. Value: The CPG states the value of this rare matte proof $48,400. Reserved in this week’s auction for just $48,000, we find this to be an excellent value for a CAC approved matte proof Indian Quarter Eagle. Why we love it: The 1942-D over Horizontal D Variety is scarce and incredibly popular among Jefferson Nickels as there is estimated to be under 100 uncirculated examples surviving. This gem displays pristine surfaces that are booming with luster and complemented nicely by golden toning that contains light tints of rise. This example of the Jefferson Nickel Variety is tied for the finest known non-Full Step designated piece graded by PCGS. Value: Both the PCGS Price Guide and CPG Value come in with generous numbers of $16,000 and $11,200 respectively. This piece is offered in this week’s auction reserved drastically lower than the price guides at just $5,975. We find this number to be both a more accurate assessment of the value and at the same time a fair and exciting price point. Why we love it: A quite scarce first year of issue from the proof Barber Quarter series. This CAC approved gem has the appearance of a booming headlight with its pristine, blemish-free, blazing white deep cameo surfaces that create stunning eye appeal. From a mintage of just 1,245 coins struck, there are only 13 examples in existence graded finer by PCGS. Value: This coin can be purchased via Make Offer for $5,150, which is right on par with the PCGS Price Guide Value of $5,100. This seems to just be a fair and reasonable price when it’s truly a fantastic value as there is next to no premium to be paid for such a pristine CAC approved example. Why we love it: The 1914-D Lincoln Cent is a popular key date that is highly desired across numismatics in which it becomes even more rare and highly sought after in gem condition with full red color. This gem example displays blazing red, pristine surfaces that feature strong luster and no detracting blemishes, giving the coin fantastic eye appeal. There are only six other pieces graded finer by PCGS with the Red color designation. 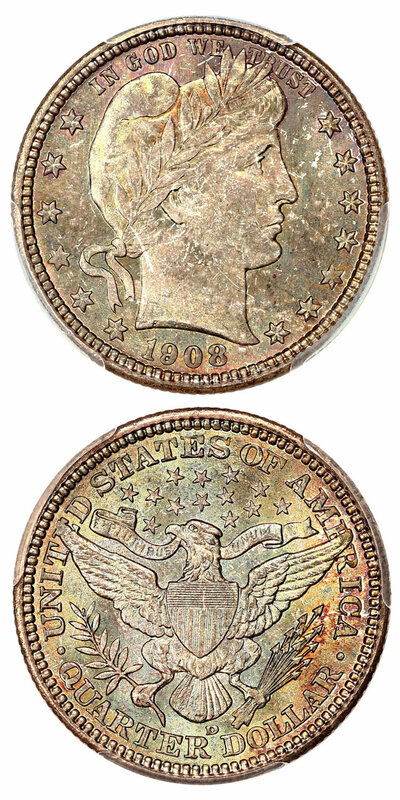 Value: The most recent sale of this exact date and grade combination realized $17,625 at auction in 2016. The PCGS Price Guide has it valued as high as $22,500, yet this example offered here in this week’s auction is reserved at just $17,000. Lower than all recent comparable sales and over $5,000 below what the PCGS Price Guide finds it to be worth, this coin is sure to go quickly in our auction ending Sunday. Why we love it: A perfect ultra-gem No Arrows type coin for the Liberty Seated Dime series. This stunner displays satiny luster across its immaculate surface, which also features subtle, lovely tones that are most noticeable on the reverse. From a low mintage of just 95,000 coins struck, there are only four examples in existence graded finer by PCGS. Value: The PCGS Price Guide has this coin valued at $8,500; however, it is available via Make Offer for just $6,000. That is an entire $2,500 below the PCGS Price Guide Value for this gorgeous, lustrous ultra-gem example of this No Arrows Seated Dime type coin. 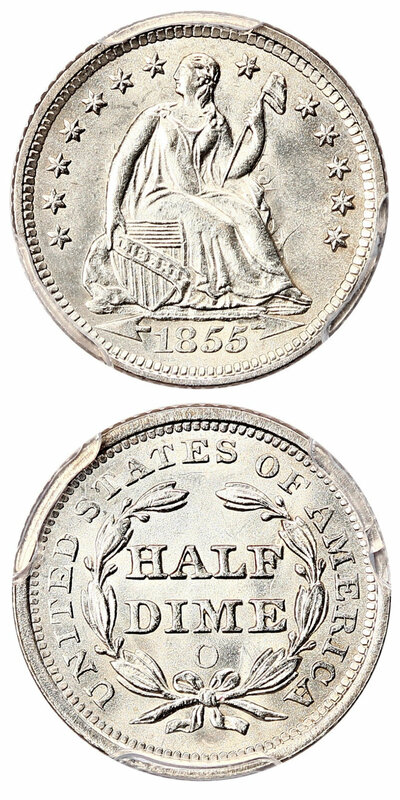 Why we love it: A popular and scarce New Orleans Mint Issue Liberty Seated Half Dime. This gem example is of true registry quality with its frosty, blazing white surfaces covered in luster and lacking any noticeable marks. The strike is especially strong for an O-Mint, which just adds to the unique, excessive beauty of its eye appeal. There are only two other examples of this Seated Half Dime in existence graded finer by PCGS. Value: This wonderful gem is offered in this week’s auction at a reserve of $8,750, which has already been met. Why we love it: A rare, early issue Liberty Quarter Eagle from the popular Charlotte Mint. This CAC approved, lustrous AU example possesses strong, frosty remaining luster along with yellow-gold coloring and some pretty, deep tones. Those characteristics combined with the lack of any real signs of wear make for nice eye appeal for the grade. From a low mintage of just 12,822 coins struck. Value: The PCGS Price Guide has this coin valued at $7,500; however, it is available via Make Offer for the much more reasonable amount of just $6,650. That is an entire $850 below the PCGS Price Guide Value for this frosty, lustrous AU example of this scarce C-Mint Quarter Eagle even with CAC approval. Why we love it: This is the finest example of this date that has earned the coveted CAC seal of approval. 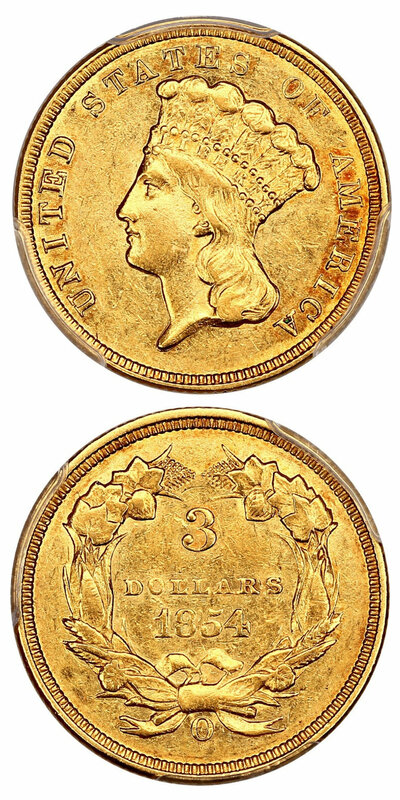 A scarce and popular New Orleans Mint Issue Three-Dollar Gold Piece. This lustrous AU example shows no noticeable signs of wear, which combined with its yellow-gold color and deep rose tints, creates a unique eye appeal. From a low mintage of just 24,000 coins struck, there are only two others graded finer by PCGS. Value: A recent sale of another CAC approved, PCGS graded coin of the same date and grade realized $19,200 just this past August in auction. That sale, along with a PCGS Price Guide Value of $19,500, justifies the reserve price of $19,750 as fair and reasonable. This price point accurately represents what a CAC approved example of this scarce issue should bring at auction. Why we love it: A scarce With Arrows proof Liberty Seated Dollar Issue. This gem example displays pristine, bright white proof surfaces with no detracting blemishes. These pieces were struck for just two years and only 540 were issued of this date with just seven others graded finer by PCGS without a cameo designation. Value: The PCGS Price Guide has this coin valued at $5,500 with the CPG Value coming in slightly higher at $5,620. This blazing white, flashy gem example of this scarce With Arrows proof Seated Quarter is available for purchase via Make Offer for just $4,900, which is hundreds below both price guides. Why we love it: A gorgeous superb-gem example of this S-Mint Lincoln Cent. It features immaculate, lustrous surfaces that are completely without blemish. The blazing red tints are simply perfect for the issue. 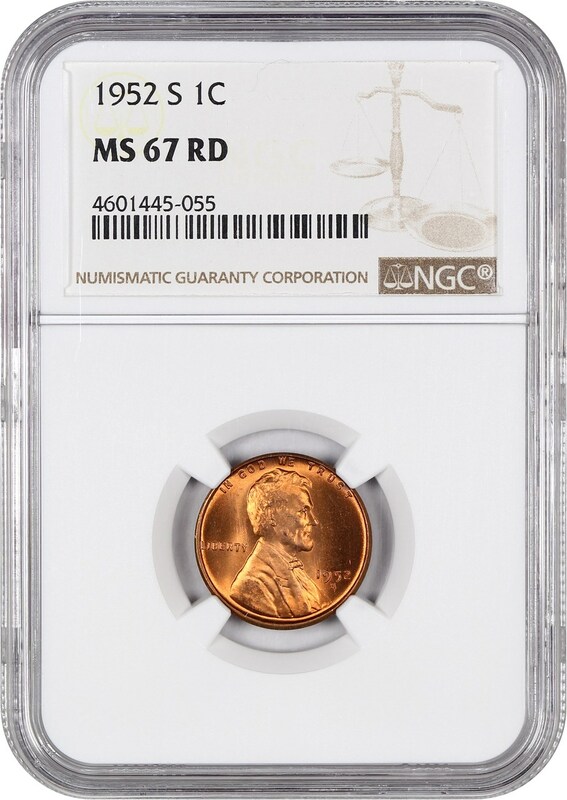 This example of this Lincoln Cent is tied with quite a few others for the finest known graded by NGC. Value: The PCGS Price Guide sits at $260, but we are offering this coin via Make Offer for the reasonably low amount of just $175. That is a solid discount of $85 off the PCGS Price Guide Value for this blazing red ultra-gem Lincoln making this an affordable opportunity to acquire such a beautiful coin. Why we love it: A slightly better date type coin in the Two-Cent Piece series as this date comes from a lower mintage. This affordable example provides complete originality and pretty red-brown surfaces. A wholesome coin with subtle luster and no noticeable marks. Value: The CPG Value sits at $520, but we are offering this coin via Make Offer for less at just $425. 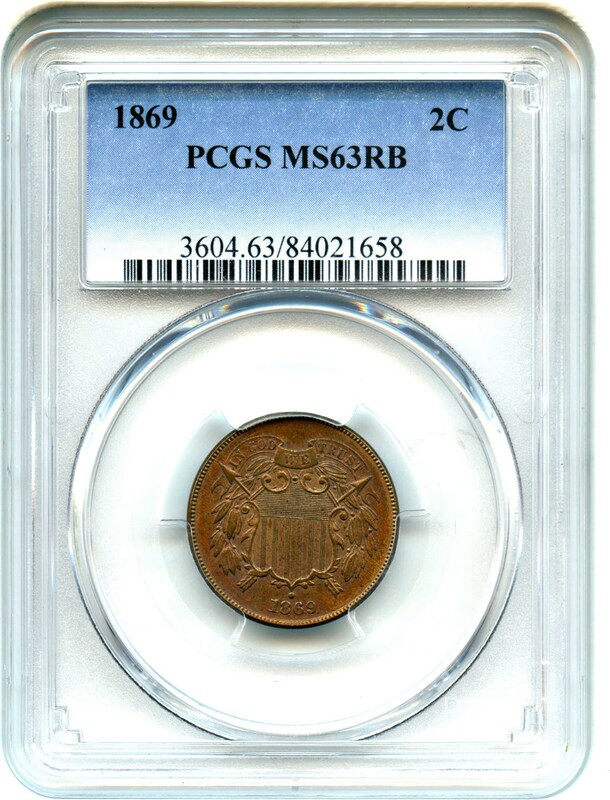 That is a solid discount of nearly $100 off the CPG Value for this lovely, affordable red-brown example of this slightly better date Two-Cent Piece. Why we love it: A beautiful gem Jefferson Nickel type coin that displays excessive amounts of stunning luster. It also features mostly white, pristine surfaces with a light golden tint. 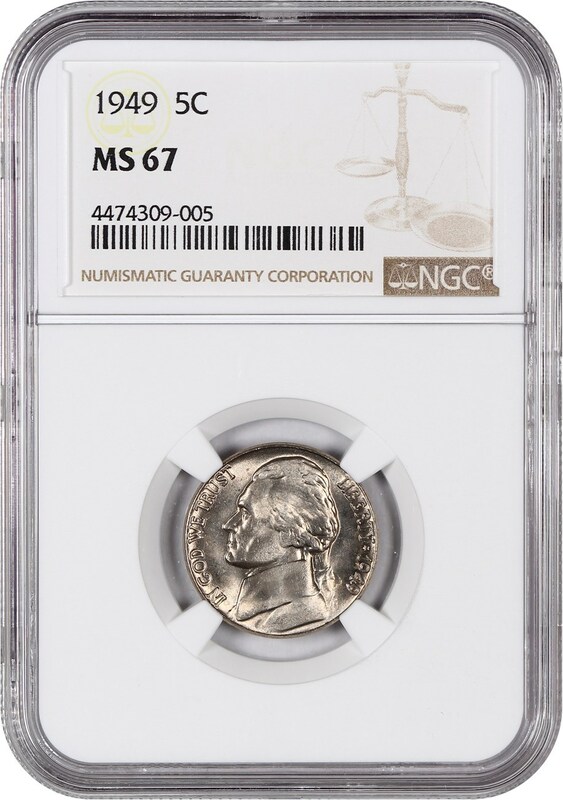 This high-grade example of this Jefferson Nickel is tied with a few others for the finest known graded by NGC. Value: The PCGS Price Guide has this coin valued at $900 even with the CPG Value a little bit lower at $845. This ultra-gem Jefferson Nickel is available for purchase via Make Offer for just $425, which is a generous price point as it comes it at just about 50 percent of the price guides.